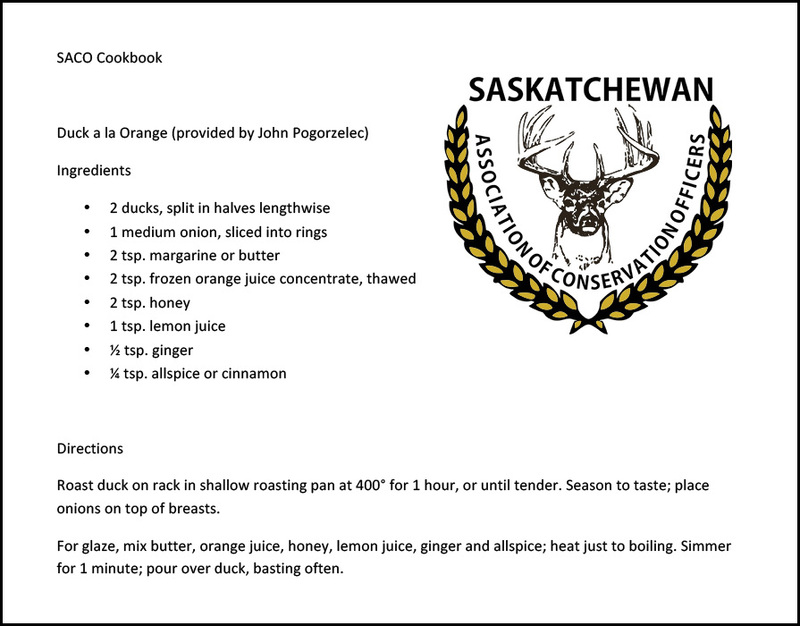 The Saskatchewan Association of Conservation Officers Cookbook contains 500 proven recipes for game birds, wild game and fish. Includes soups, salads, appetizers, desserts and a new Turkey Cooker section. 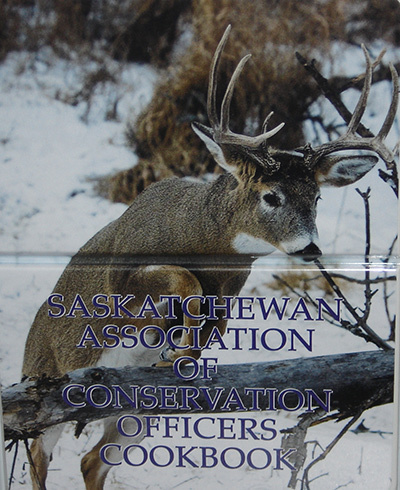 All recipes are submitted by the Conservation Officers of Saskatchewan. To order, contact your local Ministry of Environment Field Office or Sterling Switzer by phone (306)590-8339 or email sterling.switzer@sasktel.net.